We have tried to make shopping with WHC online as simple as possible. By clicking on the various categories or Brands you will be presented with a selection of products. If you would like more information about any product, please click on the product and all the information will appear on the same page. To place the product in the shopping basket, enter the quantity of the item you require and click on the ADD TO BASKET button. You will then see a pop up box confirming the addition to your basket. The number of items appear on the right side of the page, every time you add to the basket. 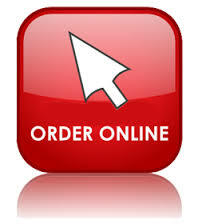 To amend your order, click on the VIEW BASKET tab. Amend the quantity and click ‘update’. To delete an unwanted product click on the green cross on the left of the basket (X) that you will find next to each product. Continue to browse and search for other products using the ALL PRODUCTS link at the top of the page. If you have a discount code, please enter it in the COUPON box when viewing your basket. When you have completed shopping, click on the CHECKOUT tab to complete the order. Payment is secured online using 128 Bit SSL (Secure Sockets Layer), considered as the highest standard in protection for information transmitted via the Internet. Your credit card number and personal information are completely protected. We endeavor to dispatch all orders as quickly as possible. Once we have dispatched your order, you will be notified by email that the product(s) have been dispatched. There may be a small delay as we replenish stock on a regular basis. When you click on the VIEW BASKET button, you will see the SHIPPING costs for your products, calculated by weight and destination country. With smaller orders there is a choice of 8-10 days, or 4-5 days. With larger orders, there is only one courier cost shown. Total and complete customer satisfaction is our goal. If you are not completely satisfied with your purchase, you may return the product(s) (excluding books), for a full refund (less shipping and handling) within 30 days of purchase. Please e-mail or call our Customer Service Department within 30 days from your date of purchase to receive authorization and return instructions. Upon receiving your package, carefully check the products with the enclosed receipt. Occasionally, the environmentally sound packing material inside your box can ‘hide’ and cover up smaller bottles. If there is a discrepancy, please use our CONTACT US form or call +357 24 – 82 33 22 within 2 days of receiving your package. Usually, completing the CONTACT US form is more efficient than calling our busy lines. We aim to give you as much information as possible for each product including ingredients and suggested dosages. You can search for common ailments in our HEALTH CONDITIONS section (on the top border) where you will find suggested remedies for various conditions.